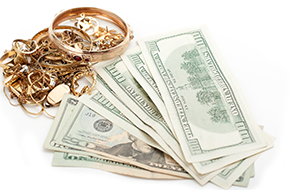 Goldpro offers fast cash for gold and silver, including coins, jewelry, and other precious items. 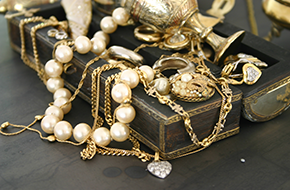 Goldpro offers top prices for gold and silver jewelry and other precious items to clients in Oak Lawn, IL. We offer secure, discrete, and confidential service to everyone who walks through our door. If you have old jewelry that you would like to sell for cash, or simply want your precious belongings appraised so that you know their true worth, we are here to serve you. Call or stop by today! At Goldpro, we do not believe in sales tricks or gimmicks. We provide honest, straightforward services that you can trust. Clients can also count on a fast, hassle-free experience when they bring their coins and jewelry to us. We will appraise your items quickly, and you will have your money before you know it. Clients can bring items of all kind to Goldpro. We offer excellent prices for gold and silver jewelry, such as necklaces, bracelets, earrings, watches, pendants, pins, brooches, and much more. If you have gold or silver bars or coins, we will take those too. 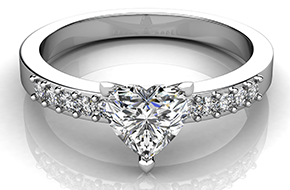 We also offer fair prices for diamonds and diamond jewelry, such as diamond rings, and for loose stones as well. These items have great value, and we want to make sure that you get the price that you deserve. Bring them in today for an expert appraisal. To learn more about what we offer at Goldpro, give us a call, or stop by our office. We will be happy to offer you a free appraisal and assist you in any way we can. Come by today to get cash for gold! !